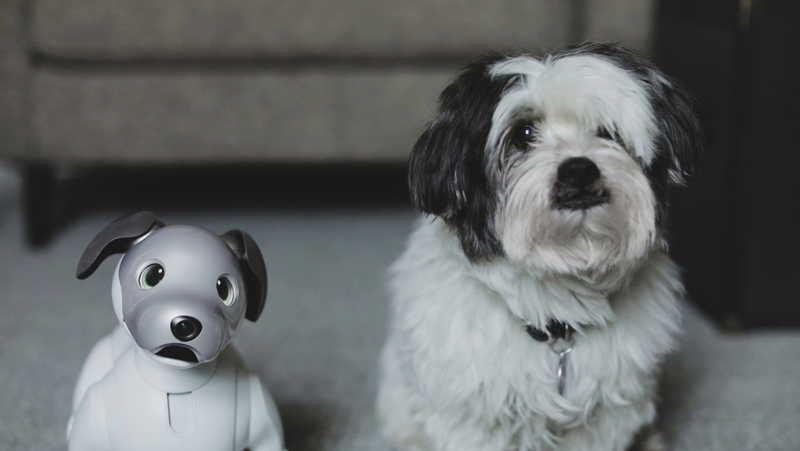 Can a $3,000 robotic dog replace the real thing? In 2006, the world’s Aibos began a slow march toward death. After seven years, Sony discontinued the line, citing disappointing sales. The company only managed to move around 150,000 in that time frame. By 2014, the electronics giant ended customer support altogether, leaving the remaining Aibos without support for the aging, electronic bodies. The promise of eternal life for their robotic companions proved as fleeting as life itself. Gone in the blink of an eye. 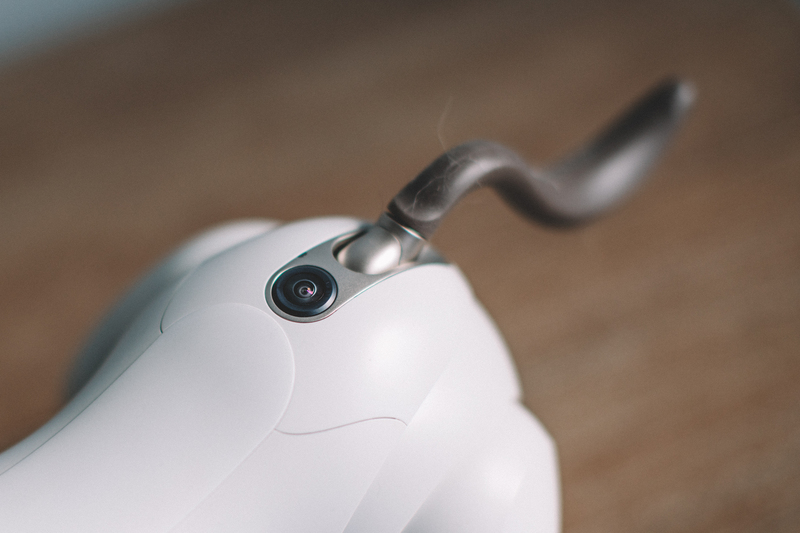 Last year’s CES offered a glimmer of home for robotic redemption. An otherwise lackluster keynote ended with a bang when Sony unveiled a half dozen of the latest Aibo models, all sitting and waddling, as curious puppies do. I’ve never seen an entire room of technology journalists utterly speechless. Four years after the company unceremoniously issued a death sentence for an entire generation, Aibo was back, and the results were stunning. Sony had clearly mastered the perfect combination of LED eyes, head tilt and locomotion. The new Aibo is easily the most realistic and advanced the company has ever created. It takes a lot to melt the hearts of CES attendees. The new Aibo quickly shot to the top of my list of most anticipated reviews. It took newly a year of waiting and occasionally haranguing Sony, but we finally managed to get one of our own — for a few days, at least. For a few days, Aibo patrolled TechCrunch’s New York HQ, before heading home to hang out with our videographer for a few more. Aibo arrived, as all dogs do, in a large, cardboard egg. He is, thankfully, sound asleep inside the box. A long press of the power button on the collar wakes him up. He stirs slowly, from a near fetal position, his paws extending outward with a stretch. He acknowledges his limbs with a yawn and slowly stands, shaking himself out as though he’d just run through the sprinklers in the yard. It’s adorable and great and super lifelike. Great care has been given to every actuated movement, and the results are easily the most impressive I’ve seen on a home robot, leaving products like Anki’s Vector behind in the process. There are 22 axes of movement in all, powered by Sony’s new proprietary actuators, giving Aibo free and realistic movement. 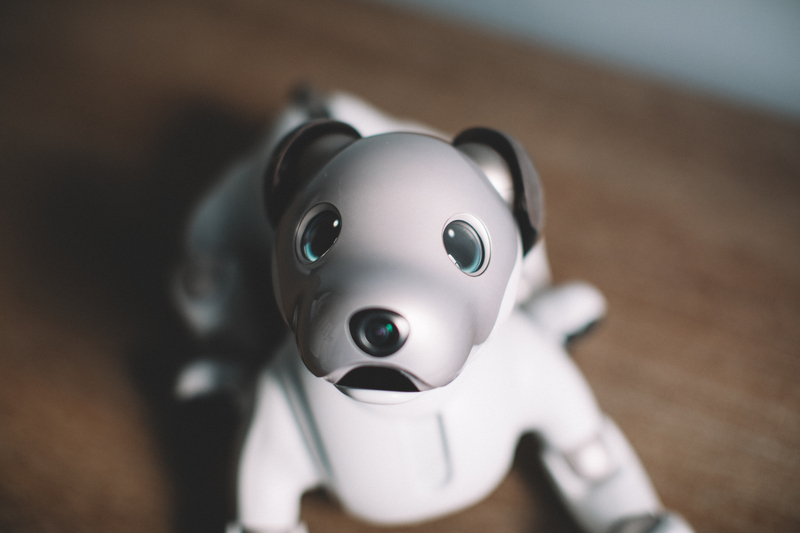 The real magic, however, is contained in a pair of OLED eyes, serving as the windows to Aibo’s robotic soul and the key to a puppy-like personality. There are two cameras — a front-facing one for future imaging functionality, which can be used to bring to life augmented reality features in the My Aibo app, and a second SLAM (simultaneous localization and mapping) located on the rear to give the dog a sense of where he is. Once Aibo’s up and running (well, walking), he roams around autonomously, exploring the space, barking for attention. You know, like a real puppy. And like a real puppy, it’s cute until you have to get work done. Aibo’s need for attention is nearly as high as his price tag, and several times I found myself picking him up and placing him on the charging station because he was just too distracting for the office. Aibo should be able to return to the charging pad on his own, but the young dog doesn’t always listen. Disobedience is bred — or, rather — programmed — in. The idea is that, like a real dog, training takes time. I need to caveat all of this by saying that with the limited time we were given with Aibo (due to a constraint on the number of samples Sony has on hand), we weren’t able to really teach the dog too much. Sony says each robot has a “unique” personality — something that’s nearly impossible to gauge over the course of a few hours with a single unit. Even so, the pup is a pretty quick listener, and responded pretty well to most of the commands we threw at him. There are simple, standard tricks, like shake hands and sit down, and more complex ones like sing and dance. It’s a fair question for a robot that’s going to set you back around $3,000. “Companionship” was the best I could muster. Maybe you can’t have a real dog for any number of reasons, or maybe you just don’t want to pick up all the poop. For most, however, poor little Aibo will never replace the real thing. And that price will always be a major sticking point. After all, it’s a big part of why Sony initially failed to sell many units in the first place — a fact that ultimately led to those dogs’ demise. 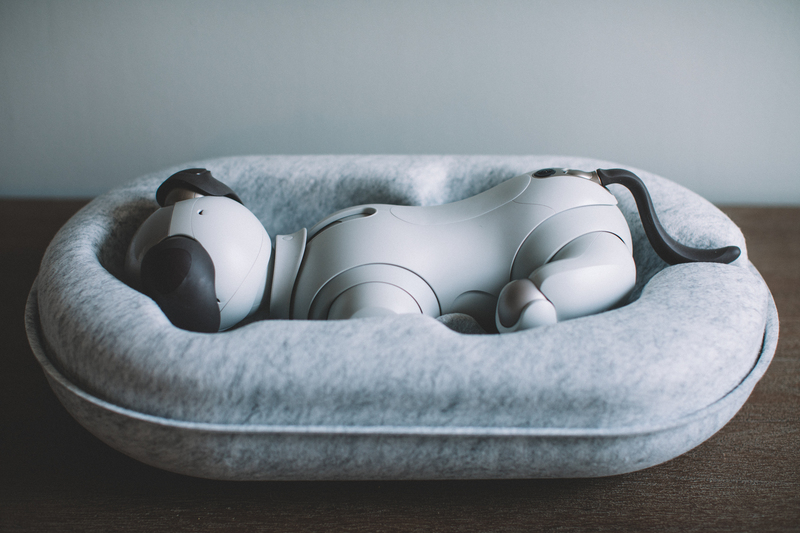 For Aibo to succeed, Sony needs to drop the price dramatically or give users a really compelling reason to be late on their rent. The truth is, more often than not, dog stories end in tragedy. And the story’s not likely to change for this plucky pup.